EQ7, a proprietary off-the-shelf software product marketed to quilting enthusiasts worldwide and currently available in over 800 retail outlets (as well as mail order, too! ), is secured by Protection PLUS. But that hasn't always the case. Product Development Manager and 18-year EQ veteran Ann Rutter from The Electric Quilt Company recounts the journey this niche software company has made toward achieving software protection integrity, including the experience of writing custom scripts and the additional benefits of licensing and copy protection. It began 18 years ago when a married couple started a home-based business combining and leveraging their expertise. A mathematician husband and an art curator wife proved to be a formidable dynamic duo, creating design software for use by beginning to advanced quilters. Quilters need to design, draw blocks, scan fabric, work with images, print patterns, and calculate yardage requirements, and EQ makes that process easier, fun, and time-saving. Allowing the quilter to gain efficiency inspires them to want to create even more. The libraries within EQ allow users to quickly gather all the pieces and parts that they want to work with, including just the right size quilt templates for a baby, a twin, double, queen- or king-size bed. They can select from a myriad of designs and patterns, or they can use tools to create their own original designs. New features are always being added to EQ software, increasing the range of options for creativity, such as a process allowing quilters to use photographs to incorporate into their creations. The ability to see the design on screen and make adjustments before beginning the physical work is in itself a tremendous value for quilters, a group exceeding 2.1 million in the U.S. alone. The Electric Quilt Company operates with 12 employees, does several million dollars in annual sales, reaches an international market, and is on its 7th version of EQ. 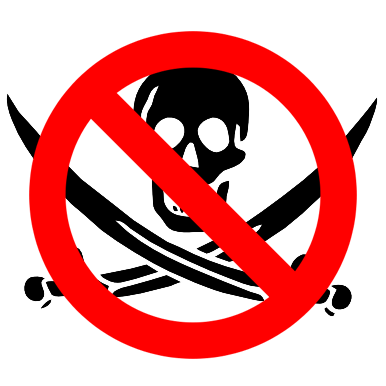 Early on, the clientele were computer-unsavvy women who didn't pose much of a piracy threat, which contributed to the company's attitude that software protection was not a high priority. As the popularity of the Internet grew, EQ's client base grew, and the need for protection grew painfully obvious. It was during the time of the 5th version of EQ that they became aware of a torrent download site offering EQ5 with a serial number for activation (the simple system employed at the time) for free. Ann recalls the situation: "A small group of us worked really hard on that product and to find it free on the Internet was too much to bear." Subsequently, they researched copy-protection solutions and started using SoftwareKey System Protection PLUS for the 6th version of EQ because it was a turnkey process that didn't require any programming on their end. Custom Scripts: The Protection PLUS toolkit was used to write a setup utility which would serve to verify that an end user had a previous version of EQ, thus indicating their eligibility for the EQ7 upgrade. During EQ7 setup, the SoftwareKey Web site is checked to confirm that the previous version License ID is legitimate, at which point the product CD is engaged to go ahead and install the new software based on the validation that has taken place. This activation process also includes providing the user with a new License ID for the new version they are activating. Concept Software wrote custom scripts to accomplish this validation spearheaded by Ann: "It took a couple weeks to do it. Your guys were tremendously easy to work with." Kudos to Steve, Kevin, and Zach at SoftwareKey! Ann says that a large part of the challenge for a project like this is communication. She was impressed with how she could communicate what they needed and have that truly understood and appropriately executed. She states that, "A very, very strong aspect of the company [Concept Software] is the customer support which follows the purchase of the product. Getting a real person on the phone was easy and the expertise I was met with was great." Wrapper: Rather than using the available API, it is suitable and super-easy for Ann to simply use the wrapper around the EQ software, "That is just so simple for us to do on our end." Activate/Deactivate: Their newest release, EQ7, has the great protection they have come to love from Protection PLUS, but this time around they are also taking advantage of remote activation and deactivation features which help when their users need to reload due to reformatting hard drives or other computer issues. This lets The Electric Quilt Company have even greater control of their product. Protection: They possess an immense sense of relief and confidence knowing that their hard work into further development of EQ is not being abused in the marketplace. The fear of theft has been quelled; they feel it is virtually impossible now. Ann believes that their clientele feel good about the protection controls as well, since it not only protects The Electric Quilt Company from theft but also protects the user's investment of $189.95 from being easily passed around to others who have not paid for it. Marketing and Promotions: In advance of product sales, The Electric Quilt Company purchases License IDs and passwords from Concept Software, which they print on labels and include in their product boxes. The end-user then has the numbers to activate their new software which occurs through the SoftwareKey Web site. The EQ end-user registration process provides The Electric Quilt Company with a contact list which they otherwise would not have. This list is serving as a great resource to communicate with their market about new products, services, or other special offers. The experience at The Electric Quilt Company with the SoftwareKey System has been wonderful. 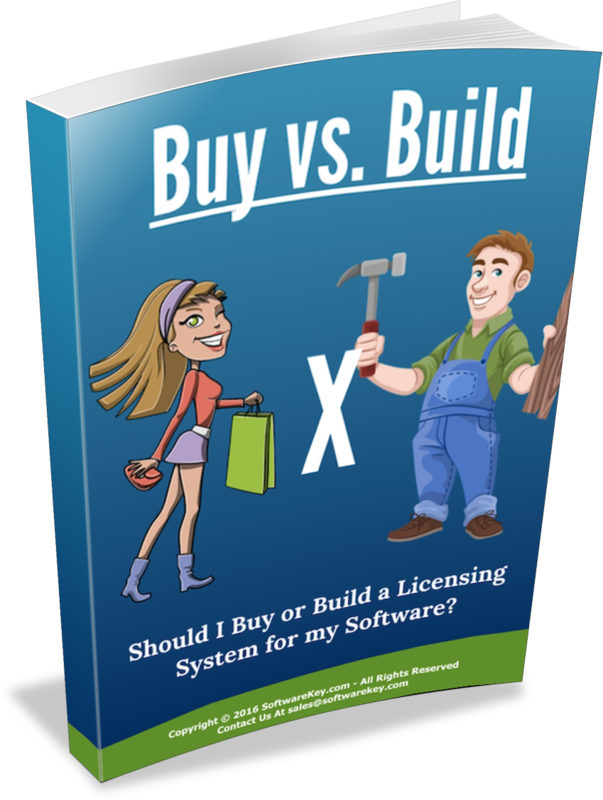 Ann Rutter has some straightforward advice to others who need software licensing and protection: "Use SoftwareKey."